Jesus was born as a little baby. I was a baby once too! Mary and Joseph helped take care of Jesus. Who helps me? Jesus grew in the same ways I am growing. He grew in wisdom. That means He learned new things. He grew in stature. That means His body got bigger. He grew in favor with God. That means He learned about Heavenly Father. He learned to pray. He read the scriptures. He grew in favor with man. That means He made new friends. He was kind to others. He helped his family. I can help my mind and body grow. I can learn to follow God. I can be a good friend. I will grow in good ways, as Jesus did! 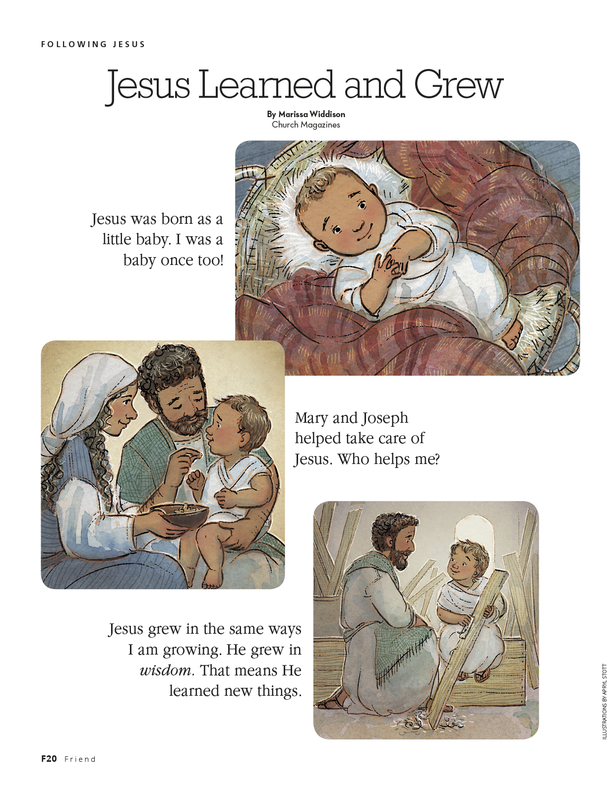 Read about Jesus as a child in Luke 2:40–52.